recommended for: For fans of Sharon Cameron, ghost movies, historical romance, and pretty prose. Check out USA Today's glowing review for more. I didn't quite feel the full effect of this one until the end. It's a layered, slowly building story, accumulating greater tension and suspense each page, just waiting to punch you in the gut. It begins abruptly. Ivy's brother is dead. Her father and brother return home bloodied up, a dead German boy in their arms. The horror finally gives Ivy the strength to leave the prison of her house, but town only holds new horrors: corpses on hay carts, boy soldiers, anti-German paranoia, and the ravages of the Spanish Flu. Midst the darkness, she finds friendship in two stolid ambulance workers and love in the arms of Daniel, the boy whose brother her family killed. It's a sweet tale of violent passions, whispering ghosts, and the horrors of 1918, and it lingers as long as a ghost photo or a southern Illinois breeze. Ivy sees ghosts. All the women in her family do. They appear, uninvited guests, at moments of suffering. They warn of horrors to come. Lately, they come too often. First, Ivy's brother Billy, suffocated in the mud in France. Then, her father and other brother come home with a corpse on their shoulders. A German man whom they murdered in a vengeful passion. Ivy flees the bloodshed and seeks her freedom in town, but 1918 isn't a kind year for freedom. Homegrown spies look for signs of foreign sympathy. Hospitals overflow with the bloated bodies of flu victims. Widows proliferate. And Ivy walks with a glance always over her shoulder, waiting for the next harbinger to bring disaster. This gloomy backdrop seems unhospitable for a girl seeking her freedom, but then, the world seems to be ending. She finds a sweet friendship with a widow who takes her in and two Red Cross nurses who drive an ambulance at night, determined to save the just one more body. In the days, Ivy goes to see Daniel, the fallen boy's brother. He knows that it's guilt driving her into his arms, but they're both afraid, lonely, and a little less lost with each other. Their romance has a strange start, but spirals into something deep and encompassing, something that seems fated. I lived for the pages they were together, and felt as tense and fraught as Ivy when they were apart. Even in darkness, Ivy finds freedom. She chases the night and finds solace in dancing and jazz (a little too heavy on the jazz, if you ask me). But nothing is simple, even love. Bodies of flu victims keep piling up, and even Ivy and her nurse friends can't keep up with all the poor undesirables turned away from the hospital. An old school friend is following Ivy, ready to charge her with sedition. And Daniel has his own secrets, dark truths that chain him to the store he once shared with his brother. Then there's Billy, appearing in Ivy's rear view, presaging something terrible. Every page, I was waiting for the bomb to drop. I was a little frustrated. 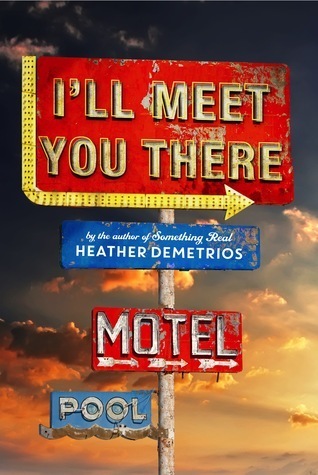 The pacing is somewhat slower than Cat's previous books, and there were so many odd details, seeming carelessness or "plot holes," that irritated me. I should have known to trust her, because the ending brings all those details, all those curiosities, into sharp reality. I think that's why I struggled to rate this; it was a bit slow during the reading, but it's so freaking well done in retrospect. Regardless, it's a gorgeous story. Cat is at the top of her game with prose. Ivy is hysterically awkward at times, just hysterical at others, and perceptive in a way that gives her narrative weight and sharpness. And it leaves you with a sweet melancholy, and an urge to read it all over again. 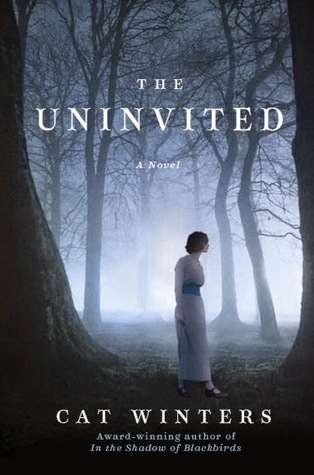 The Uninvited is a dark beauty of a story, steeped in mystery, romance, and the violent memory of a dark past. will i read this author again? Yes, probably everything she ever writes. Note: I received this copy from the publicist in exchange for a review. The price of the book and its origin in no way affected by stated opinions.